Did you know that forty percent of those investors with more than $25 Million of net worth regularly read financial blogs? 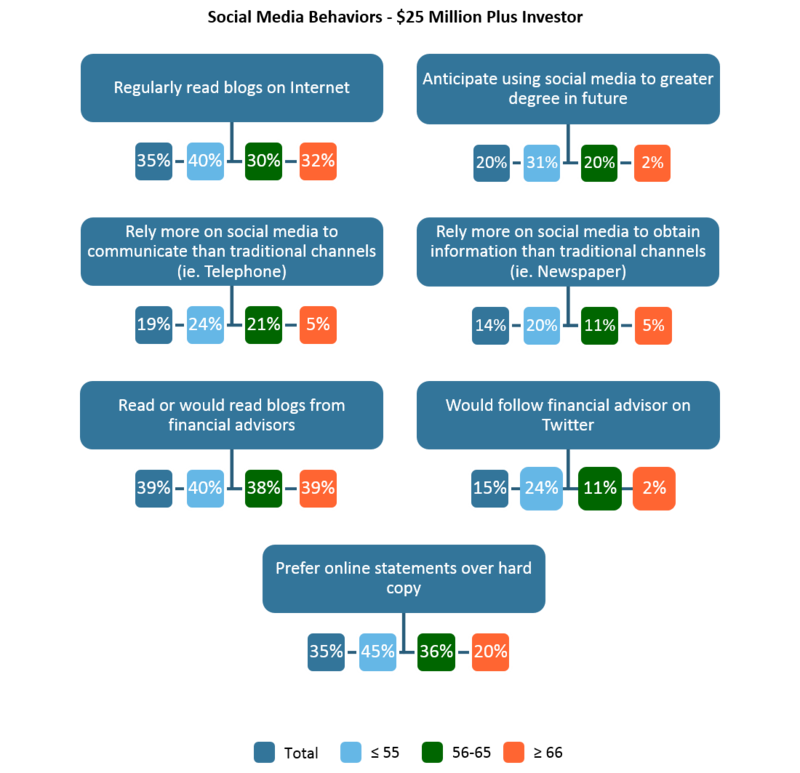 More than 30 percent of these investors anticipate that they will use social media for financial information even more in the future. Do you read financial blogs? It’s something to think about. Clearly some of the most successful households are searching for information online ….including using platforms such as Twitter, Linked In and Facebook. In fact, 39 percent of households over the age of 66 would like to read a blog written by their financial advisor.